Ceòl Nèamh Pipe Band is excited to offer lesson to anyone who wants to learn bagpipes or Scottish drumming! Students of all ages (8+ preferred) and abilities are encouraged to join and benefit from experienced instructors and band leaders - no previous experience necessary. Piping, snare, tenor, bass drumming, and Drum Major classes are all available. The piping and drumming school's mission is to provide a supportive and structured teaching environment where youth and adults alike can reach their full piping and drumming potential, while also building leadership, teamwork, and teaching skills. This is accomplished through instruction from the most skilled players within our organization, combined with professional instruction from some of the area's most talented players. 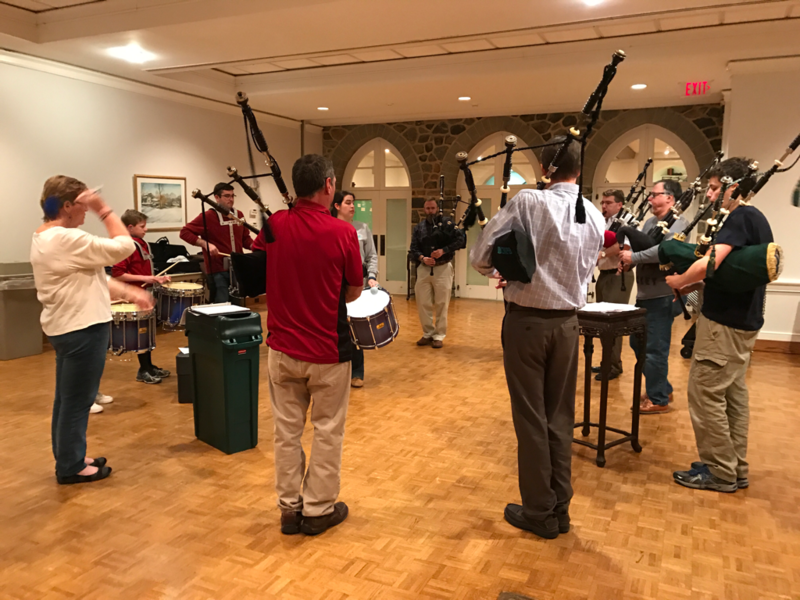 For experienced musicians, a band practice immediately follows the lessons, with the goal of integrating players into a successful competition pipe band. If you are interested in participating or would like more information, please contact us or take a look at our FAQs. ​Interested in Joining the Band or Learning to Play?